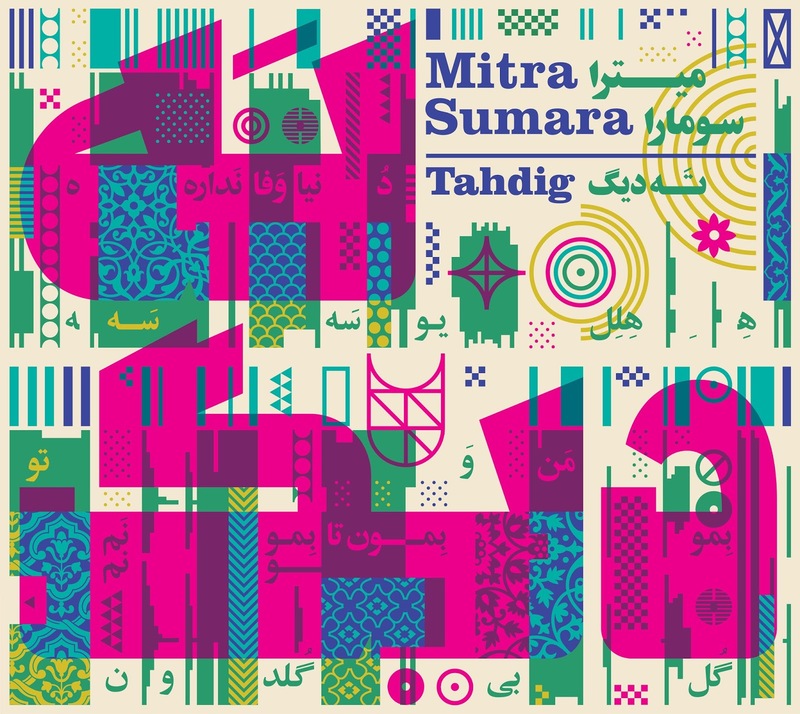 Mitra Sumara, New York City’s only Farsi Funk group, is proud to announce their debut album Tahdig, set for release on June 8, 2018 on Persian Cardinal Recordings. This international party band revives the vibrant Persian pop and funk music silenced by the Iranian Revolution. The popular music of Iran in the 60s and 70s combined disco, funk, and Latin beats with Middle Eastern melodies and poetic lyrics. Mitra Sumara interprets hits by Iran’s beloved singers such as Googoosh, Soli, Leila Forouhar, and remakes intoxicating Southern Iranian Bandari beat tunes. The band is comprised of musicians drawn from New York’s indie-rock, jazz, and avant-garde communities and was founded by singer Yvette Saatchi Perez. Yvette was adopted and raised by American parents in Los Angeles and through her search for her birth parents, came the journey and fruition of Mitra Sumara. After twenty years of writing and recording her own music (avant-pop group Birdbrain, I Fly; and H*E*R, Songs About the Mysteries of Housework and Nature) and performing in numerous rock bands and new music ensembles, Yvette discovered the popular music of pre-Revolutionary Iran. She founded Mitra Sumara after studying Farsi and uniting with her Iranian birth father. This project is an outgrowth of Yvette’s journey to reclaim her personal identity, and a love letter to the beauty of Iranian culture and music. Although Mitra Sumara was founded in 2011, the group is only now ready to release their first full length. As the saying goes, “Good things come to those who wait,” and the results on Tahdig are definitely worth it. The reasoning behind the wait came down to finding the right producer for the project which Yvette eventually found with Salmak Khaledi. Meeting through a mutual friend, it wasn’t until Yvette discovered that Salmak was mentored at the Tehran Conservatory by session musicians that performed on most of the pre-Revolutionary pop recordings, that she knew she found the perfect producer for Mitra Sumara as the spirit of the original music comes full circle. The diverse ten-track album showcases 70s Iranian pop and funk songs, spun with updated beats, modern production, NYC’s indie spirit, and psychedelic touches that is unquestionably Mitra Sumara. The band has taken forgotten music and has refreshed it with their own touch. The album title word Tahdig is a popular type of Persian food that translates into ‘bottom’ (‘Tah) and ‘dig’ (Pot). That is exactly what Mitra Sumara did through digging through these selections and stirring their pot of influences throughout. In addition to Yvette, the full cast of musicians in Mitra Sumara is an all-star group consisting of Peter Zummo (trombone), Bill Ruyle (hammer dulcimer), Julian Maile (guitar), Jim Duffy (keyboards), Nikhil Yerawadekar (bass), Michael Evans (drums/congas), and Kaveh Haghtalab (drums/percussion). You may recognize Peter Zummo and Bill Ruyle as members of Arthur Russell's various bands, Nikhil Yerawadekar from Antibalas, and Michael Evans from David Grubbs, Michael Gira (Swans), Carla Bley, and Aimee Mann to name a few. The list goes on with such a top pedigree of talent that also stretches to the artwork with cover design by Iranian artist Homa Delvaray and videos from Alice Cohen, who is creating it using all Iranian imagery and cut outs of the band.